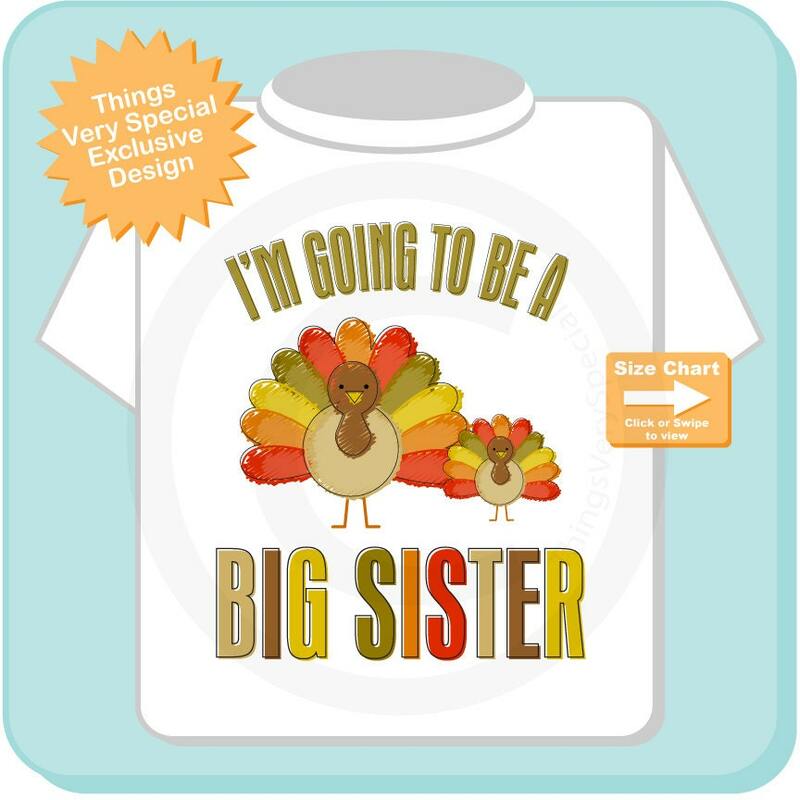 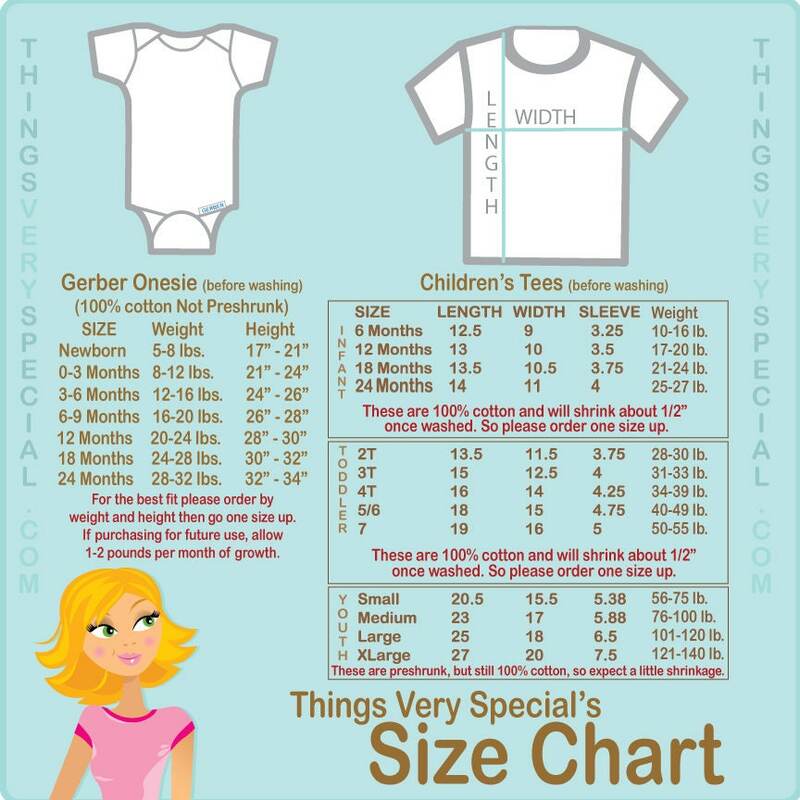 Super cute I'm Going to be a Big Sister tee shirt or Onesie with awesome Thanksgiving Turkey and colors. 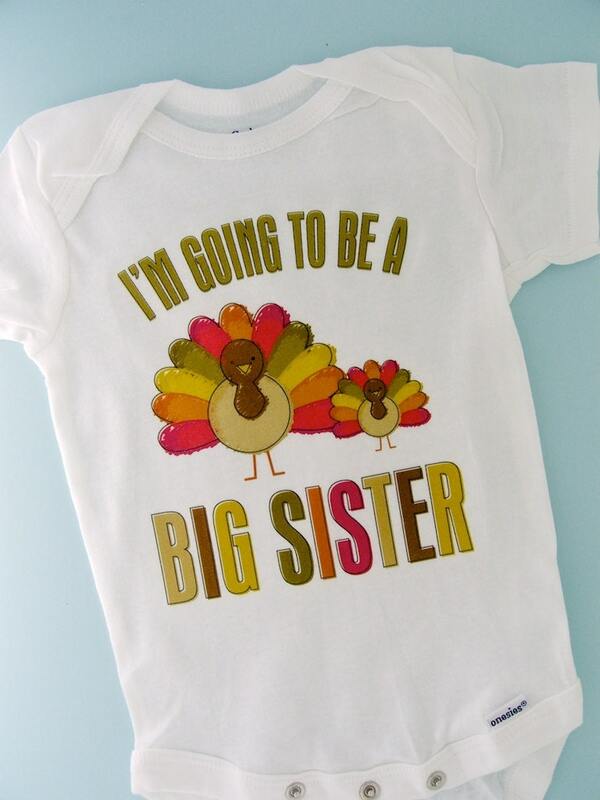 This one is with a gender neutral baby. 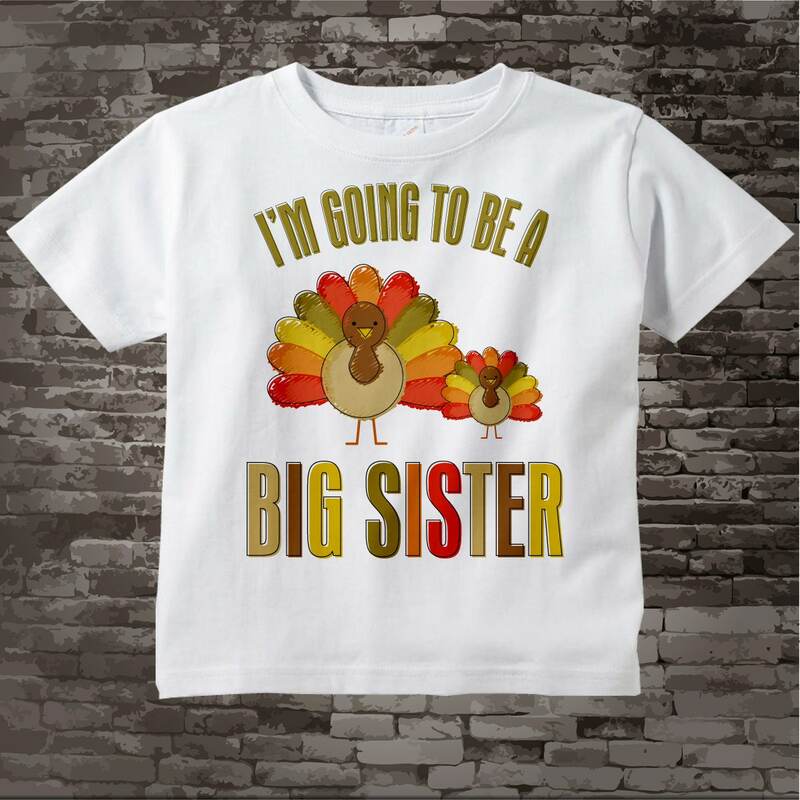 This item can be personalized with the child's name below where it says Big Sister.